The Government is set to introduce an employment objective for the Reserve Bank but that is unlikely to affect the future direction of interest rates. 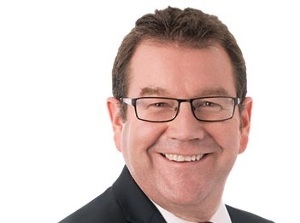 Finance Minister Grant Robertson has signed an unchanged policy targets agreement with acting Reserve Bank governor Grant Spencer, through until the end of his term next year. But a review is under way that will determine the terms of the next agreement. The first phase of the review will focus on Labour's coalition agreement with NZ First to add the goal of “maximising employment” to the price stability objective in the Reserve Bank Act. There would be no specific numerical target. It will also look at the commitment to move to a committee decision-making model. Christian Hawkesby executive director of Harbour Asset Management, said what was proposed was nothing radical by international standards. Although there had been suggestions that the focus on unemployment would mean lower interest rates for longer, he said that was not necessarily the case. He said when the Reserve Bank was targeting inflation, it already looked at the labour market as a sign of how much spare capacity there was in the economy. If unemployment was high, that meant a lot of spare capacity and not much pressure on inflation. He said the move to a committee decision was in line with what happened internationally. Phase two of the review will produce a list of areas where further investigation of the bank’s activities might be desirable. That will be revealed in early 2018. The dollar rose after it became apparent that it would not be included in the review.